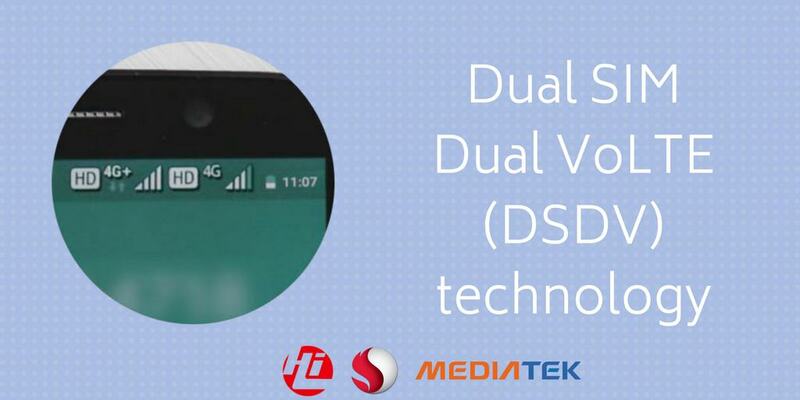 Dual SIM Dual VoLTE is a new technological development which allows both SIM cards to connect to 4G LTE networks. Many chipsets from Qualcomm, Mediatek and Huawei now offer Dual VoLTE functionality. Most smartphones sold these days are 4G enabled, but users cannot use 4G on both SIM cards simultaneously. The non-data SIM card falls back to 3G or 2G network. This posed a challenge to 4G only operators (like Jio in India) which do not work on 2G/3G frequencies. The limitation also meant that users were not able to enjoy HD voice calls using VoLTE on the non-data SIM card. The solution comes in the form of new chipsets which support LTE on both SIM cards at the same time. Do you need Dual VoLTE in your phone? Will Dual VoLTE work on your existing phone via OTA update? Which chipsets support Dual SIM and Dual VoLTE? The new chipsets from Qualcomm, MediaTek and Spreadtrum are challenging the old limitations. They now bring the technology (DSDV) to allow simultaneous LTE connectivity on SIM 1 as well as SIM 2. Hence, making HD voice and video calls on the secondary SIM card is now possible. It enhances and improves the calling experience for the users. Smartphone users can soon make the best out of their Dual SIM smartphones (and feature phones) by upgrading to phones which make use of these new chipsets. Mobile operators are also slowly retiring 2G and 3G networks. So, there is a need for 4G + 4G standby smartphones to cater to the needs of the users. With 5G technology just around the corner, 2G and 3G have surely lived up to their life. Dual SIM with Dual VoLTE support is a upgrade to the calling experience. It allows you to experience the same HD calls over LTE as you do on your active data SIM. VoLTE offers upto three times more voice and data capacity than 3G (source). You can also use two 4G-only (Jio) SIM cards in your smartphone. You will be able to make calls from both cards at any point of time. Hence, Dual VoLTE is a good technological improvement. It is a feature you should consider when looking to purchase a new dual SIM smartphone. Dual SIM VoLTE support requires new hardware (modem). So, it cannot be enabled on older smartphones via a software update. And I also do not suggest you to upgrade to a new phone just for this reason, unless you have some serious requirements. However, you should ensure that you look for dual VoLTE when making your next smartphone purchase. There are some new phones which have the upgraded hardware. If you buy a smartphone with a chipset supporting Dual VoLTE, then it can be enabled via a software upgrade (OTA). It still depends on the particular OEM to enable it or not. Looking to purchase a new smartphone? Is LTE support on both SIM cards a serious need for you? Then, you can consider purchasing one of the following smartphones that support 4G DSDV technology. Did we miss a phone that you know? Do let us know and we’ll add it to the list along with credits for your contribution. Company has to made such type of smartphone in which all the sims as they provided different slots may active simultaneously, sim may be of any company this doesn’t affect the activity of the phone otherwise what is the benifit of dual sim or triple sim when they are not active, then it is better to buy normal and cheapest phone in which both the sims active simultaneously. Not entirely correct. 630 635 and 636 are not dual volte. They are DSDS(Dual SIM and Dual Standby). But 635 and 636 based phones got dual volte through OTA update. Yes. As per specification on Qualcomm website, 635 and 636 are DSDS but not DSDV. There is another great phone that I am now using that has dual volte. It’s the Blackberry Key2 LE. It’s the BBE100-5 variant made for North America and Latin American. As far as I know it is the only one of the Key series with dual sim that will a) register IMS on both sims and allow Volte calls on which ever sim you want. I have 2 T-Mobile sims. The only thing missing is WiFi calling which was on the Key2 single sim until the Oreo update and then it was removed. I have tried the dial screen to get in the hidden menu to toggle it on, no go. Also there is an app called QuickShortCutMaker that also has some settings for WFC but nothing works. Apparently BBMo, TCL and T-Mobile are all pointing fingers as to why we don’t have this functionality. I currently don’t need it but would like to have the capability, especially shameful as all the North American single sim KeyOne, and Motion models have it working! Makes no sense! Thx for the information on DSDV format phone. Just be careful on the wordings when you buy a phone with Dual Volte Dual standby. It can have multiple meaning. Even when you are asking ask “if it support 2 jio Sims simultaneously for Voice”. Latest example is Asus with its new Max M1 and M1 lite. 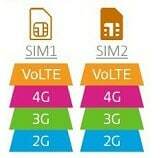 It is listed as “two sim slots that support 4G VOLTE standby” in the features section which is correct in a way. But it does not mean you can use 2 jio sims simultaneously as the Tech specs clearly states only one sim can support 4g/3g. What about the iPhone Xs and Xs Max,do they support dual Active VOLTE ? Have they released the software to enable eSim?. Also we will know after they update eSim and also when Providers Jio, Airtel, etc start supporting it. To make it more clear. iphone was intially released as a single sim phone with hardware chip for the second sim which was not enabled. They are supposed to update the software to enable the second sim. Not sure if the software update has been released. The second sim is a eSim which is different from the normal Sim slot you have on the phones. It is a hardware chip built in the phone that works as a sim. eSim will only work if the telecom providers have tech/soft support on their side. what about samsung a series mobile phones such as A8+ and A8Star . which can not be supported dual sim dual volte .plz specify that when these are compitable . only S Series and note 9 are supporting their dual sim dual volte . can A series be upgraded through OTA . Doubt if they will be upgraded. The hardware/processor does not have support for Dual Volte. Redmi 6/6Pro seems to be fooling the customer. Please refer to this comment. There does not appear to be true DSDV support and Xiaomi support agreed on that aspect. I will need to re-confirm Mi A2 for the DSDV capabilities. It is hard to figure out. OEMs do not directly point out the DSDV support. Most CPUs support DSDV, but OEMs remove the support from their budget phones. It is hard to know even after the phone launches since some (like Xiaomi) are fooling us. Some OEMs enable DSDV later on with software updates, some decide to never enable it. Narendra, Realme 2 has Snapdragon 450 which does not support DSDV. Specs says dual volte, not sure if this means you can use two jio sims or you can have 4g sim in either slot but the other slot will not be 4g. I’ll try to consult a Realme 2 owner. All I know is that Realme advertised that the device supports DSDV and that’s why I included it here. 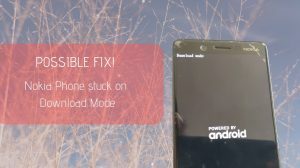 Kya redmi6 pro me dual volte ? Dual 4g volte network show karega ki nahi ? Surf net nahi chalega ki network bhi nahi aayega? Redmi 6 Pro uses Snapdragon 625 processor. You can only keep the primary SIM card on 4G VoLTE. The secondary SIM will stay on 2G/3G networks. You cannot use 2 Jio SIM cards at the same time on Redmi 6 Pro. Hi Uday, I was looking into this. And Xiaomi advertises both Redmi 6 and 6A as being Dual VoLTE compatible. I checked detailed spec sheet and they mention the following – “When using both nano-SIM slots, either card can be set as the primary card. VoLTE HD calling is supported on the primary card.“. This is exactly what happens on the non-DSDV phones. It looks like unfair adverting as detailed specs only say that VoLTE can be used on primary calling SIM only. It is said to only supports dual data, which is very confusing. Why would and how would you use it? Xiaomi says “Both SIM cards can use 4G data simultaneously.” whereas phones can only use data from 1 SIM at a time. Redmi 6A has Helio A22 and not 625. But you are correct it is not dual volte but in a way dual 4g with Volte only on the primary sim. 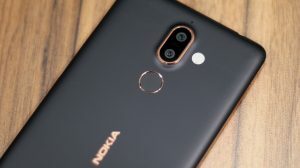 Hi, does the Nokia 6.1 Plus support Dual VoLTE? The Nokia X6 supports it. 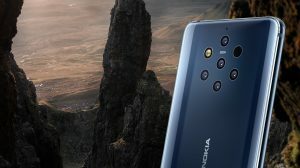 However, the Nokia 6.1 Plus does not support it. Nokia is yet to release an OTA update to enable the functionality. Even Nokia 5.1 plus does not support Dual Volte Dual standby. Checked with Nokia support and they confirmed. In their spec sheet they mention as dual volte which is misleading as dual volte here means either of the sim can work on volte but if one of the sim is set ot volte then other will work on 3g/2g. The processor used has the support builtin and it is the same processor in realme 1 which does have DSDV. Price wise both are same so Nokia has essentially throttled it. I think if people stop buying phones which does not have some minimum specs then you will start seeing the manufacturers giving it. I suppose in China or other places they would not be able to sell these kind of phones cause people would not buy it, hence you see the same phone (albiet with other model name) in other markets which has DSDV and also supports far more LTE bands than the India version and the price in Indian rupees works out the same. Certainly. And it is not even tough. They enabled the Dual VoLTE support in Nokia 7 Plus via an OTA update. Now, I am not sure what leads them to not offer the same in the other phones. It could be very possible that the software development team overlooked it, or it is not added due to battery constraints. Another very possible reasoning is that they only want to offer it to higher priced phones. If it is okay to ask, what specs sheet are you referring to? The Nokia website certainly does not make such a claim (as far as I can check). Spec sheet, I was wrong in not specifiying the source. The original does not talk about it at all in this case (marketing strategy – https://www.nokia.com/en_in/phones/support/nokia–1-user-guide/dual-sim-settings) but the specs available in other sites. I think you missed the Vivo NEX, if the vivo X21 has dual sim dual volte (DSDV) wouldn’t the vivo Nex have it too especially since it sports the Snapdragon 845 SoC? Yes RD, I guess I missed that. 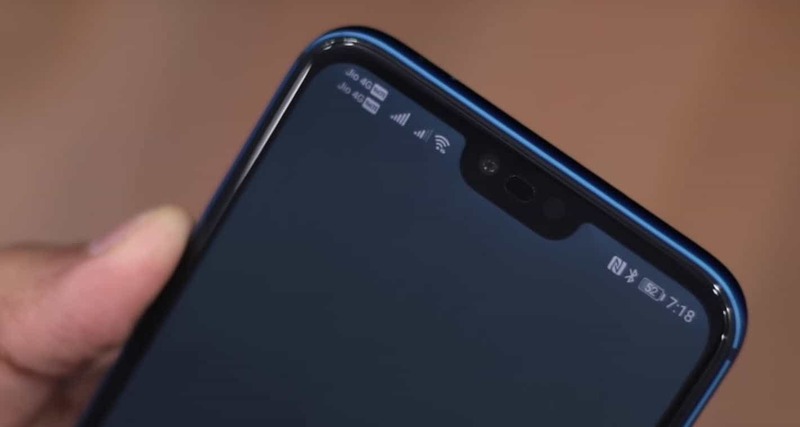 I’ll add the Vivo Nex to the list. And also the Oppo Find X. Is Nokia 8 ( Snapdragon 835) not supporting DSDV ? No. It does not support DSDV as per my knowledge. What about the Honor Play? This phone launched in June 2018 and has kirin 970 processor. is this phone Dual Sim Dual VOLTE? I’m aware of the same CPU. There are chances that they dropped DSDV support, but I have not been able to confirm it. I’ll try to make some extra efforts to confirm it now. Will respond if I get any update on this. Anybody can confirm Lenovo Phab2 pro supports DSDV? The Phab2 was launched in 2016. At that time, there was no existence of Dual SIM Dual VoLTE. So, it is safe to say that it does not support DSDV. Can someone confirm honor 10 is dsdv please? I read that it is not.. Most likely, yes. The Snapdragon 845 supports it. So, it is a matter of software setup. It would be surprising if they haven’t enabled it. Please do leave an update on your findings. Edit: It seems that it doesn’t. At least, the person who confirmed to me about XZ2, the VoLTE is only supported on 1 SIM at a time. I still might support dual VoLTE, but I can confirm that they don’t have the same VoLTE profiles as their single SIM phones. In the UK the single SIM version supports VoLTE & WiFi calling on the EE & Three networks, the dual SIM model doesn’t support either. I did see 4g connections on both SIM cards, dropping to 3g for calls. I’ve returned the phone as, for me, this means it does not support dual VoLTE on my main networks. I believe that the Sony XZ2 compact supports dual VoLTE. Will confirm in a couple of days. Yes, have international version but need to know if it does the xz2 compact. Does he few mobiles lists here.. Asus Zenfone Max Pro M1 , Realme 1 , ivoomi i2 And Tecno Camon i ye smatphone me dual sim, dual volte, support karata hai ,,, to sir ye bata ye ki mobile me best kon sa hai …plz reply… kyu ki mera ek jio sim band rahata hai.. es liye mobile me best kon hi … mujhe lena hai… price range 15000 ke nichey..me lena hai..sir …. plz reply…..
Hi Jeetu, I’ll most likely go with the Zenfone Max Pro M1. That aside, please base your decision depending on your requirements and the features that you will use. Can SIM-1 uses Data of SIM-2 and make or receive ‘VoLTE call’ / texts in case SIM-1 coverage is missing & only SIM-2 has coverage? I do not want to use other number (SIM-2) to call people and do not want to kiss their calls / texts. Hi Jay, that’s not something currently possible. Might become a possibility when our operators launch VoWiFi services. Divert ur calls to 2nd number and it should do for you. The Snapdragon 845 supports VoLTE. It should work on the OP6. However, OnePlus has not made an official confirmation yet. Does Moto G5S plus support this DSDV feature? It is the first google shopping result when I search for Dual VoLTE. Hi Nitin, no, the GS5 plus doesn’t support Dual VoLTE. It only supports supports VoLTE on one SIM card at a time. I think you missed Honor Play which runs on HiSilicon Kirin 970. I am aware of Honor Play, but I have not been able to confirm if the device supports DSDV or not. And Huawei support decided to not reply to my request for information. So, most likely the device does not have the DSDV feature enabled even though it runs on the Kirin 970.